The SALSA is a state-of-the-art square reserve chute that, thanks to its design, has a very short deployment time and high pendular stability – two factors that can be crucial when it matters. 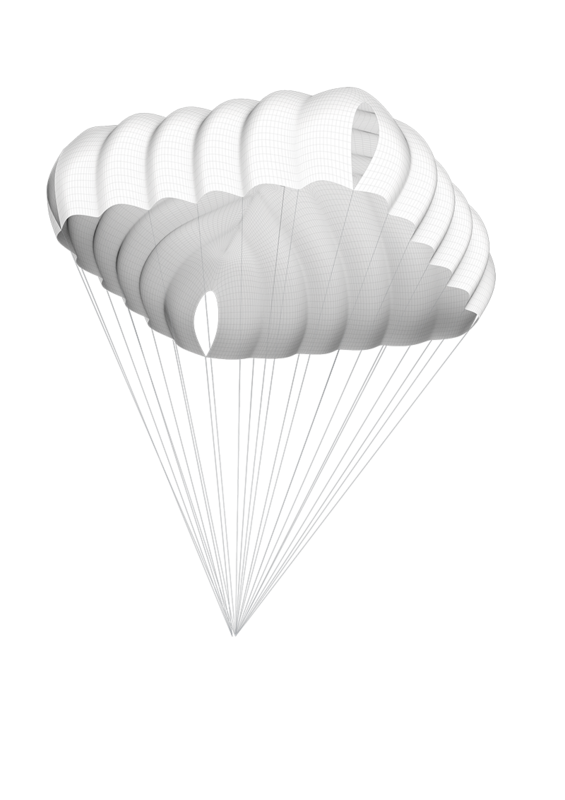 Large surfaces ensure a low rate of descent, and the symmetrical structure prevents system-related forward movement, making possible a stable descent with a pleasant landing. 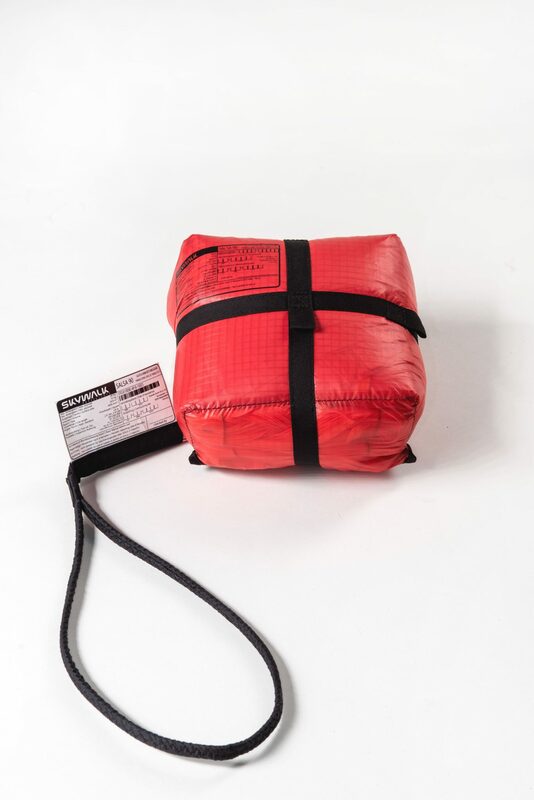 If you regularly pack your rescue equipment yourself, you will appreciate the simple packing method. 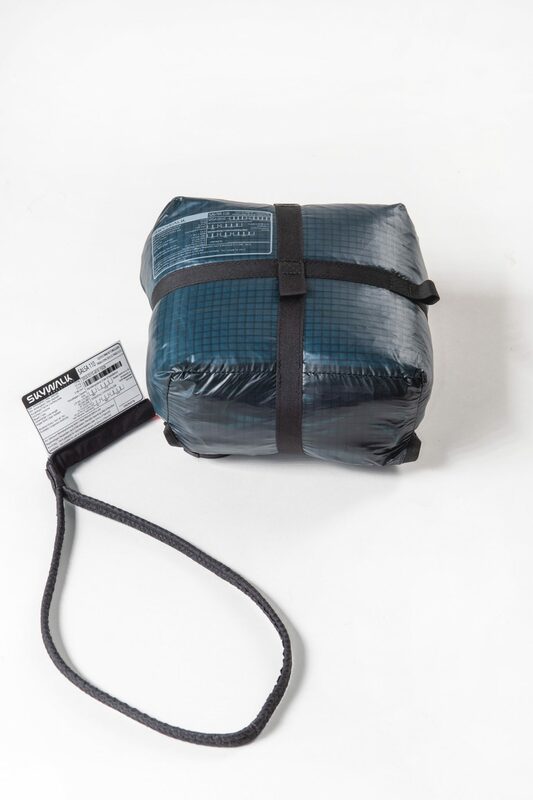 The lines are stored in a separate compartment in the deployment bag, minimizing the risk of tangles and optimizing the opening process. The materials used are durable and guarantee a long service life! What size SALSA should I fly with? Check the technical infos of the different sizes (90,110 or 135) and look carefully at the maximum load figures. Your all-up in-flight weight (this includes your bodyweight, clothing, boots, helmet, canopy, harness, reserve, instruments and anything else you might be carrying) – should correspond to the maximum load rating. This ensures minimal sink velocities and injury free landings. What should I observe when fitting the reserve to my harness? We strongly recommend letting your reserve be packed and fitted by a qualified expert. Ensuring that the reserve is compatible to the harness and correctly attached to the load loops is just as important as having it correctly packed. A correct compatibility check can only be performed with a trial deployment. Check your reserve regularly – flying at costal sites can in particular lead to corrosion problems around the release splints. Only correctly packed and fitted reserves guarantee your safety! What is the correct way to pack my reserve? We strongly recommend letting a qualified expert pack your reserve for you. Routine and experience ensures optimum pack form and smooth and speedy deployment. If you really want to pack your reserve yourself, then follow the packing instructions in the handbook carefully. Again, visiting a packing instruction course is highly recommended to gain experience and learn from the experts. Reserve handbooks can be downloaded from our website. During a compatibility check a trial deployment is made under the careful observation of a qualified expert. 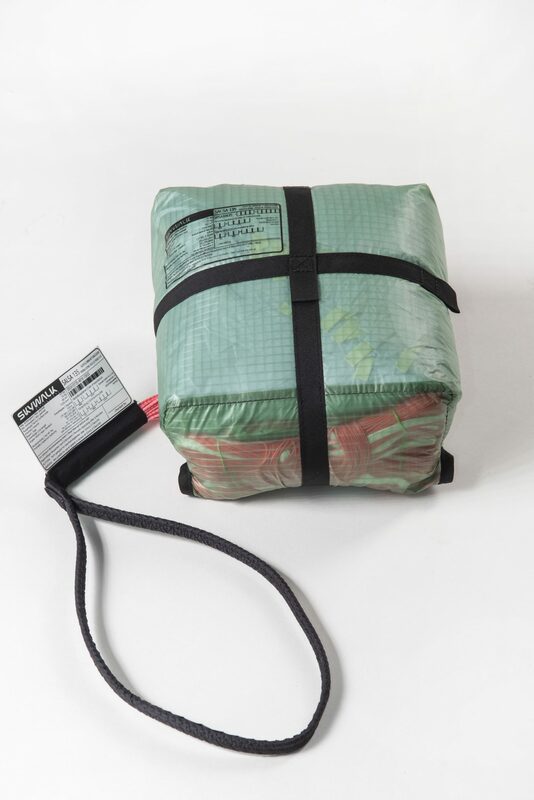 The check tests that the reserve can be easily released from the harness and inner container with the deployment handle. It is most important that nothing obstructs this proceedure. Correct reserve attachment to harness load loops and that the reserve is the correct size for the deployment container is also checked. Once all the checks have been made, the reserve inner container needs to be re-fitted to the harness in exactly the same way as before! How often should a reserve be re-packed? We recommend re-packing a reserve every 6 months, or immediately should it have come in contact with water. Regular re-packing helps speedy and reliable deployment in the event of an emergency. Packing and fitting should be performed by a qualified expert. We also recommend regular pre-flight checks of container splints and deployment handle attachment – release and re-attach any velcro strips and move the splints a little to prevent them from getting stuck tight. If you’re flying costal sites or in the winter, check your reserve more regularly for any signs of corrosion. Does the SALSA drift to achieve its sink rate? The SALSA as well as the PEPPER CROSS LIGHT are symmetrically constructed and do not have a system-induced forward motion. Will the SALSA fit in my harness? The inner container volume is clearly marked on all SALSA reserves and must be observed during a conformity check. Most newer harnesses also indicate the minimum and maximum inner container volumes which can be fitted to their deployment containers. Check on the harness itself or in the harness handbook. It is important that the inner container volume lies within the constraints of the harness deployment container volume. Volume information may not be present for older harnesses. When should I replace my SALSA? The reserve must be replaced after 10 years, even if it has never been thrown. Does the rescue connection lines need to be connected by a steel screw shackle? 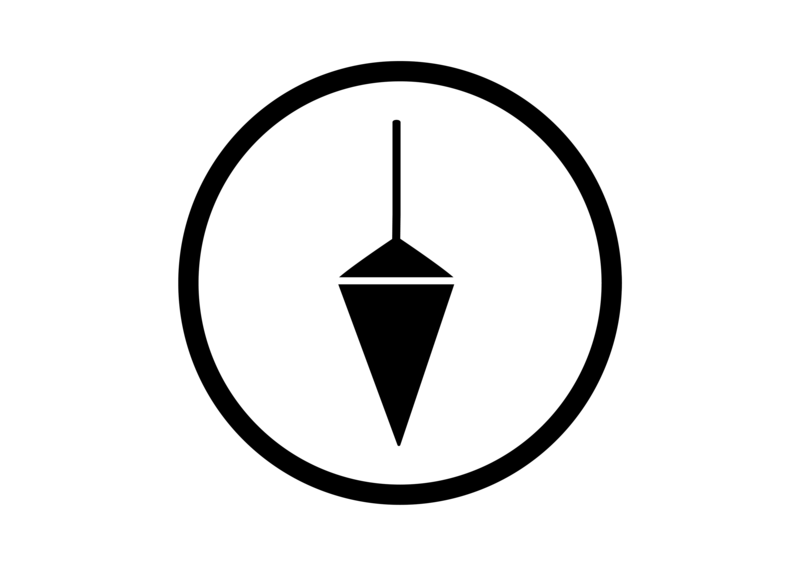 An alternative option is to connect the two lines by a loop connection. Generally, loop connections are not less secure than screw shackle connections (as long as this is possible and useful at all ). In addition, loop connections save weight.